Darynda Jones - NY Times Bestselling Author » Wanderings on Writing Interview with Jane Lindskold!!!! Wanderings on Writing Interview with Jane Lindskold!!!! 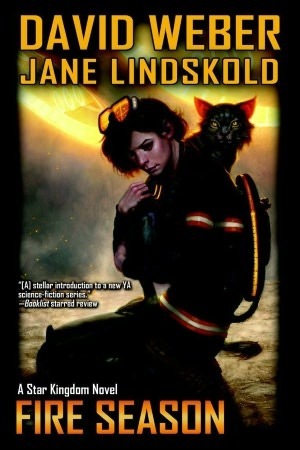 I am ecstatic to announce that today we are talking with author Jane Lindskold, and while I want to focus on her new book for writers, Wanderings on Writing, Jane is also well known in the SF (science fiction) and fantasy community. I first met Jane at New Mexico’s very own SF convention, Bubonicon, and I remember being horridly honored when introduced to her. I was even more honored when she later remembered my name. It’s weird how one can feel an instant connection with someone they’ve just met. I felt that with Jane and I’m sure her readers do the same. Are there any conventions, Jane, besides the awesome Bubonicon that you attend regularly? JANE: Not right now. Jim and I usually try to get to World Fantasy, but even that got pre-empted by Life Events over the last couple of years. This year, I’m Guest of Honor at Conduit up in Utah over Memorial Day weekend. That should be a blast. DARYNDA: You have a fantastic portfolio. I’m going to ask you the same question you asked me: Writers fall into two general categories: those who have been writing stories since before they could actually write and those who came to writing somewhat later. Which are you? JANE: I’m a late-ish bloomer. I have been telling stories for as long as I can remember. I’m a vivid dreamer and my sister, Ann, was very patient when I tried to retell my dreams to her. I also story-told through elaborate games of pretend. I lucked out because I have a sister eight years younger than I am, so I had a playmate after everyone else had gotten tired of make-believe. Once I would have told you that I didn’t really start putting stories down on paper until I was in college, but Ann swears that I was writing earlier, that she was always finding unfinished scraps here and there in our shared space, reading them, and getting frustrated because I didn’t finish. I do know that by college I was writing and writing a lot. When I finished grad school, I decided to put writing into the time I’d been spending on my studies and never looked back. DARYNDA: You co-wrote a couple of books with David Weber that have been lauded by readers and reviewers alike. Writing teams fascinate me. Is that a process you enjoyed or do you prefer to write alone? What were the advantages and disadvantages? JANE: Ah, yes, Fire Season and Treecat Wars. To answer, I need to step back and explain my relationship with David Weber. We’re more than professional associates. I consider him pretty much a brother. We’ve known each other since he had one and a half-novels out and I had one short story. We’re very comfortable with each other, up to and including arguing like – well, brother and sister – with that same assurance that a disagreement won’t mean the end of the friendship. I actually worked “backstage” with him on the first of the Stephanie Harrington books: A Beautiful Friendship, which was an expansion of a novella he’d done years before. For each book, we worked out the basics together – that being a challenge for me in and of itself, because I usually don’t plot in advance. Fire Season’s first draft was mostly written by me, although Weber had a lot to contribute, up to and including a brilliant “save” at a point where the plot nearly got derailed by a technological element. Weber wrote parts of Treecat Wars, because we realized he would have basically have had to write just as much to explain to me the setting for those parts. I’d say I prefer to write alone, because I don’t like to plan a whole book out in advance. That said, if I was going to collaborate again, I’d be happy to work with Weber. DARYNDA: You have a new book out for writers called Wanderings on Writing. This, like all your books, has some great reviews and I can attest to how wonderfully written and informative it is. Can you tell us how this book evolved? JANE: Sure! About five years ago, I started a blog called Wednesday Wanderings, because I wanted to be free not to write about writing. Except I did. A lot. Eventually, people started telling me that I should collect the pieces into a book. I did, expanding the pieces, adding examples, and clarifying points that hadn’t needed to be clarified for the blog. DARYNDA: I feel this is a very unique book on writing. So many focus on one aspect of writing like plot or character. Wanderings on Writing features these nuggets of pure gold that range from hooking your reader and plotting to writer’s block and how to take criticism. It’s simply loaded with great advice for writers at all stages of their careers. How did writing the original blog help you work through some of the obstacles countless writers face everyday? JANE: I think any time you try to explain to someone else a skill you know at a “gut” level, you learn a lot about that skill. So writing the blog made me more aware just how many arrows I had in my quiver – and, even more importantly – where I’d gotten them. This made me want to write a book on writing that didn’t promise a step by step approach as much as encouraging writers how to design an approach that would work for them, because they would adapt my advice for themselves. DARYNDA: I love how you don’t have to read the entries in order. I find myself reading one chapter then jumping to another that strikes me as particularly interesting, then another. Does Wanderings follow the timeline in which you wrote the posts or did you try to organize it in a specific way? JANE: No, Wanderings on Writing doesn’t follow the timeline of the posts. There’s a sort of sneaky, associative organization in there, but I doubt even I could duplicate my logic now. Fact is, at least for me, writing isn’t a linear act, so linear advice of the sort that makes it sound that if you do this, than this, than this, you’ll suddenly have a book didn’t make sense. I wanted people to dip in, read a bit, then skip somewhere else if that’s what they wanted to do. DARYNDA: As a person who learns best from example, I really love the examples you use in your posts. I love the laid back, non-preachy writing style. I love the fact that each post is a standalone. Are you planning on putting out any more books on writing? JANE: Not right now, but I kept writing posts on writing, even after this book was off to be proofed. Maybe one of these days, I will do another. DARYNDA: Your latest fiction novel, Artemis Awakening, published by Tor, sounds AMAZING!!! Can you tell us about it? 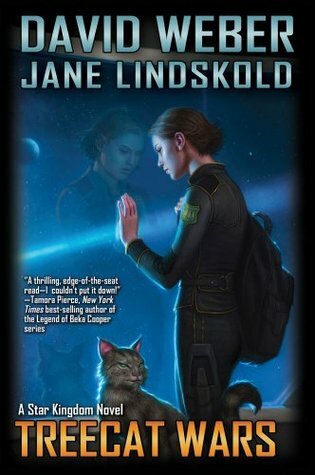 JANE: Artemis Awakening is SF of the sort I grew up loving to read in the works of Andre Norton, Poul Andersen, Anne McCaffery, Larry Niven, Marion Zimmer Bradley, and that guy who wrote Lord of Light and the Amber novels. It has all the good stuff: lost civilizations, intelligent animals, psionic abilities, conspiracies, and just enough romance to be interesting. It might even have aliens, but I’m not saying. I’ve missed that. In fact, I pretty much stopped reading SF (as opposed to Fantasy) because it had gotten so navel-gazing, self-referential, and grim. Or military. I can only take so much military anything – although I do read military SF. I have started reading more SF again – I really like Jack McDevitt’s work, and Vernor Vinge’s. Artemis Awakening starts with Griffin Dane crashing his shuttle onto the “lost” world of Artemis. He gets rescued by Adara the Huntress and the puma, Sand Shadow. And it gets pretty intense almost immediately. JANE: Well, the second “Artemis” book, Artemis Invaded comes out in June. At the request of my readers, I’m putting together a short story collection. I’ve had over sixty short stories published, almost all in anthologies, and they’re getting harder and harder to find. The collection – which doesn’t have a title yet – won’t have all sixty, but it will have short afterpieces to go with each story, talking about why I wrote the story and/or something about the process. Now that I think about, it’s turning into another book about writing. DARYNDA: Jane, thank you so much for being with us today! I’m off to finish Wanderings on Writing so I can start Artemis Awakening. of Wanderings on Writing today! @Darynda Was looking for something new and different on writing! Love essays anyway. Just bought! Thanks for getting the word out! Hugs!! I hope you enjoy. It’s a quirky take on writing, but honest. Thanks for asking all the right questions, Darynda. I had a lot of fun coming up with answers.